I've been toying around with an alternate title for this post, and I think I've settled on "How to light your oven on fire in three easy steps." You are intrigued now, yes? 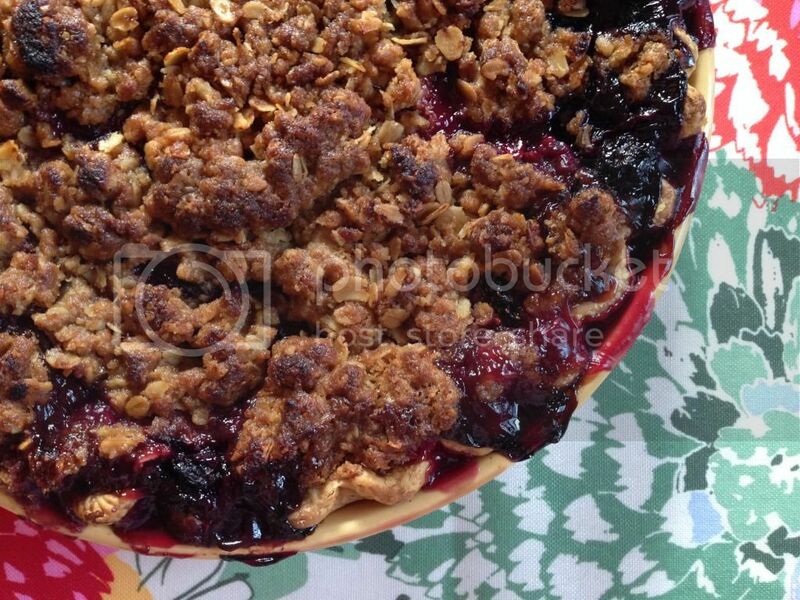 But first, let me give you the back story on this pie. There's a berry pie they make at our local grocery store Wegmans, aka Heaven, that is super amazingly delicious. 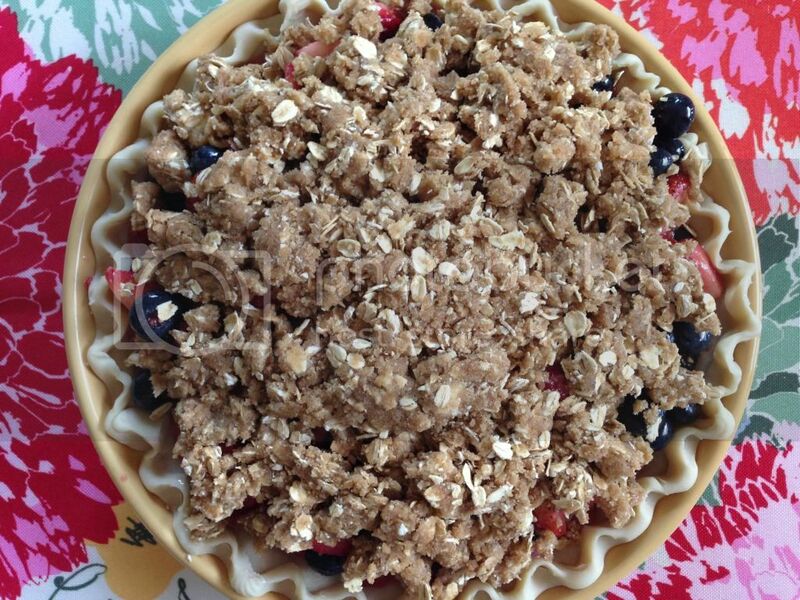 It's full of different types of berries and is topped with this crunchy golden crumble topping. If you've had it, you know what I'm saying. It's great. Well, being the baker that I am, I decided to figure out a recipe that would be similar to their pie. I used three kinds of berries: strawberries, blueberries and raspberries. I was going to toss some blackberries in there but I didn't want to get too crazy! This combination of filling with the crunchy topping tasted like summer. It was sweet and juicy and hearty. My favorite way to eat this is served warm with vanilla ice cream...perfect! But now I know what you are thinking...Lindsay, how do I light my oven on fire in three easy steps? Yeah. That happened. Have you ever had your oven burst into flames? It isn't fun! Thanks to the quick thinking of Nicholas, he dumped a cup of water on the fire and all was well. But my pie definitely wasn't done, so I had to stick it back in and this time I put tin foil directly underneath the pie so it would catch the juices, and it worked! Thanks to my friend for the genius idea. Directions: Preheat oven to 450 degrees. Wash and cut berries and put them into a large mixing bowl. Pour the sugar and cornstarch over the berries, mix, and let stand for 15 minutes. Unroll the pie crust into an 9 inch pie plate. Pour the filling into the crust. Make the crumb topping. Cut together all ingredients using a fork or your hands. Sprinkle over filling. Place the pie in the center of the middle rack of the oven (with tin foil underneath it!) Cook the pie for 15 minutes. Lower the temperature to 375 degrees and cook for an additional 40 to 45 minutes until the crumb topping is golden brown. Personal Style: I'm not wearing black!